Gore Vidal's political comedy from 1968 provides may hap and miscegenation; a battle of wits and wills between father and son; and, enough historical and political references and characters to keep you laughing for two hours. The current production by Timeline Theater is excellent with another outstanding performance by Janet Ulrich Brooks that is, as they say, worth the price of admission. I most enjoyed the little details in the performances like the moments when the nerdy political pollster, clearly a George Stephanopoulos wannabe (one of Vidal's many prescient moments), sneaks cigarettes at the beginning of scenes; that is, until the cigarette case is empty. I admired the timing of the company with perfect ripostes and a light physical touch that kept the play moving. I should also mention Terry Hamilton who played the "moderate" Republican Senator MacGruder with good-hearted warmth and ease, and Penny Slusher who, as his wife, demonstrated strength of her own to match that of her husband. As with all good performances the evening went quickly and, filled as it was with resonances between the history of 1968 and today's not so different political landscape, the play took on meanings that it could not have explored when first performed on Broadway in the spring of 1968. My closing thought on viewing this gem is the famous French adage: plus ca change, plus c'est la meme chose. . . 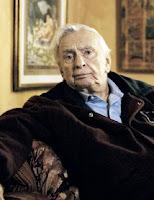 Weekend by Gore Vidal. Produced by TimeLine Theatre Company 615 W. Wellington in Chicago. This is not about Vincent Van Gogh or Impressionist painting; nor is it about Don McLean or Impressionist music; nor is it about astronomy or astrology. 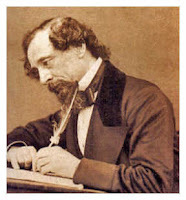 Taking my cue from Charles Dickens, whose novel Our Mutual Friend demonstrated the technique of defining something by what it is not, I have begun this commentary using just that approach. For my day began, as it often does on the weekends, with an early morning run under the starry skies with the moon choosing to absent herself, no doubt to return as she is wont to do as she goes about her regular monthly journey. My journey over the last few years, since about this time in 2001 has included running as part of my regular exercise regimen. I enjoy running and enjoy reading about the joys of running. The best of the writers about running that I have encountered is one Dr. George Sheehan, whose book Running And Being, is as much about philosophy and a way of life as it is about running - whatever else it is inspirational. This week I have encountered another book that also inspires and may join Sheehan's in my bibliography of support. That book is Younger Next Year by Chris Crowley & Henry S. Lodge, M.D. I will return to this work in the future if its promise bears fruit in my life, but I already have found in the first few sections that it is a very good book to read and consider. For this opportunity I once again find that I have my former colleague and current running friend, Kyle Tschaen, to thank both for recommending this book and continuing to be an inspiration for me in his dedication to running and life. Running and Being by Dr. George Sheehan. Simon & Schuster, New York. 1978. Younger Next Year by Chris Crowley & Henry S. Lodge, M.D. Workman Publishing, New York. 2007. Arnold Bennett's The Old Wives' Tale is a good, but not great, novel about the lives led by two women from a small town in England. While he writes with both a high degree of realism and historical accuracy there are moments, especially in the opening chapters, that test the reader's patience. His devotion to the quotidian details of everyday life does not always rise to the level of interest, even when presented well by a master prose stylist. Our Lincoln Park Book Group discussed this novel this evening and concluded that Bennett succeeded in his attempt at realism and that the characters, particularly the two sisters, Sophia and Constance, had depth and believability. Bennett's ability to successfully develop believable female characters with the protagonists is one of the best aspects of this novel. His realistic style compares favorably with William Dean Howells whose novel, The Rise of Silas Lapham, also demonstrates a sensitive portrayal of women. I found that the novel became more interesting as each of the four sections unfolded, ultimately becoming a satisfying portrayal of small town life during the end of the Victorian era. The Old Wives' Tale by Arnold Bennett. Penguin Books, New York 1983 (1908). 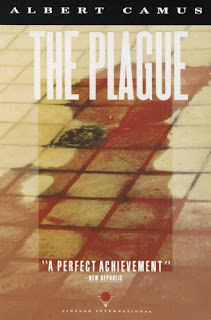 Rereading The Plague (La Peste) with our Sunday morning discussion group portends to be a challenging experience. 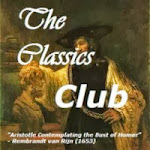 My acquaintance with the novel goes back some years to a first reading on my own, a class - introduction to existentialism - at The university of Chicago Basic Program, and a read and group discussion with our monthly study group. The importance of this selection suggests Camus' story will be about more than the town of Oran in 194_ and points to motifs of imprisonment and existence. This is certainly worth considering as one enters Camus' fictional world as are most epigraphs. I look forward to considering these and other themes that will emerge as my reading continues. The Plague will again prove that it is worth the time spent rereading. The Plague, The Fall, Exile and the Kingdom, and Selected Essays by Albert Camus. Alfred A. Knopf Everyman's Library, New York. 2004. In these times of ours though concerning the exact year there is no need to be precise, a boat of dirty and disreputable appearance, with two figures in it, floated on the Thames, between the Southwark Bridge which is of iron, and London Bridge which is of stone, as an autumn evening was closing in. These figures in this time will be important as will the many characters introduced in the opening section of Our Mutual Friend. 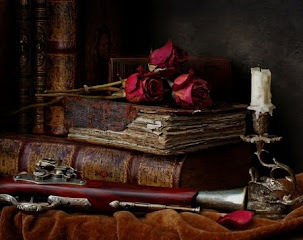 A story of inheritance and changing times begins and where it will lead will be found in the ensuing sections and pages of yet another Dicken's tale. 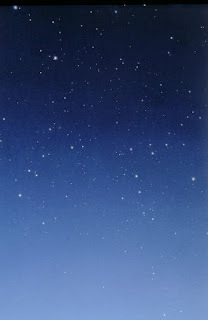 Bright, clear sky over a plain so wide that the rim of the heavens cut down on it around the entire horizon. . . . Bright, clear sky, to-day, to-morrow, and for all time to come. Last night we had a discussion of The Good Earth by Pearl Buck. The whole group enjoyed the book and agreed that it was certainly a good read; but during the discussion I was reminded of a story of the earth closer to home. 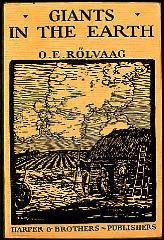 That is the saga of Norwegian immigrants by O. E. Rolvaag entitled Giants in the Earth . It is a truly heroic epic of the settling of the upper plains of the United states during the nineteenth century. Rolvaag's narrative is focused on the family of Per Hansa with his long-suffering wife Beret and four children, And-Ongen, Store-Hans, Ole and Peder Victorious. The last of the children is born in their plains home while the others take part in the trek from Minnesota with which the novel begins. In addition to this family, their friends and neighbors who joined together to form the new plains settlement, the earth itself is the main character of this story. The focus on family and the importance of the earth in the story are two of the similarities between Buck's novel and Rolvaag's epic story. From the opening moments the narrative is alive with the sounds and colors that surround the immigrant family and the impact of nature and the earth continue to influence their lives throughout the book. Filled with the vicissitudes of a life on the frontier, the novel celebrates the life of the family and community as they overcome each of the challenges they face. The challenge of crossing a major part of the continent and facing the inhospitableness of the wilderness was daunting to those who chose to venture out on this trek. Not all had the strength to complete the journey or to succeed in their new environment. Notable among the difficulties described by Rolvaag are the emotional problems of Beret as she comes to terms with her anxieties and fears in this rough community on the edge of civilization. Her story highlights the internal struggles of Per Hansa and his family and underlies the narrative of their interaction with the community at large. I have enjoyed this novel again and again ever since I read it as a teenager. Giants in the Earth is a magnificent portrayal of pioneer human achievement. Celebrations were in order at the conclusion of our reading of Dostoevsky's The Brothers Karamazov. A Sunday brunch with vodka, borscht, lox, kasha, Blinni's, potato salad, fruit, eggs and, of course caviar, was the order of the day as we did our best to bring a bit of Russia to the edge of Lincoln Park. I'm pretty sure we were not in the same league with the Karamazov family, but we enjoyed ourselves nonetheless. One wonders what sort of celebration, if any, we will have at the conclusion of our next reading project, Camus' short novel, The Plague. Even now roiling with storms near its equatorial gulf. Whether through the tranquil lull or the winds of the wolf! 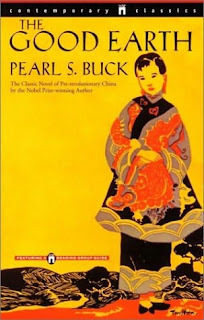 I have been rereading The Good Earth by Pearl Buck. For many years this well-known novel was an unexplained void in the inventory of books that I had read. Yet, in less than two years I find myself having read and reread this amazing novel. It is amazing for several reasons, not the least of which is the deceptive simplicity of its' style. The story begins on Wang Lung's wedding day and he remains in the fore of the novel presented to the reader by the narrator as the hero of the story. However, I began to grow gradually fonder of Wang Lung's wife, O-lan, as the story progressed. Her dedication to the marriage in almost complete silence and fortitude in both work and bearing and raising the children provided her an almost mythical aura. The most moving moments of the book come when she fights to prevent her young daughter from being sold into slavery, when she is forced to give up her pearls, and when she dies. Even in death she continued to demonstrate a stoical character that made me wonder at its power and source. Surely this was not simply the result of her determination to never return to the slavery that she endured as a youth in the great house of the Hwangs. But I said that the simple style was deceptive and by that I meant that hidden in the simple every day events, and a few that were not so common, is a picture of a culture and ethos that Wang Lung and his family lived. The work ethic of Wang Lung and his devotion to the land, "the good earth", that would keep him and his family safe was part of this culture. The depth and contrasting relationships within the family and without are displayed slowly, simply, through the actions taken and events that impinge on Wang Lung. There is more to this story than these events and actions alone can account for. There is the action of fate through the impact of the cycles of the weather that lead to famine for those, like Wang Lung, dependent on the earth. 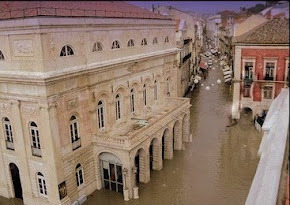 The patronymic "good earth" turns ironic when the land lays fallow for lack of rain or the crops rot because of flooding. The vicissitudes of their life find the family of Wang Lung fleeing to the South to escape the famine, but they do not have the skills to successfully cope in the city where they end up begging until saved, through another turn of fate, by the war and the looting of the wealthy landowner's estate. It is this event that becomes a turning point in the lives of Wang Lung and O-lan as through their own loot of gold and jewels they are able to establish what will become a different life than the simple farm that they left when they fled to the South. It is this different life that, among other things, ultimately changes the family in ways that seem to prove the adage about the corrupting effect of power. Ultimately The Good Earth is a morality tale, a parable-like story that suggests the dreams of avarice demand that the price paid is more than the silver and gold traded for land and mistresses. While most of the story seems steeped in a combination of ancestor worship and attention to evil spirits and omens, there was one episode that I found reminiscent of a parable in the New Testament when just as O-lan is dying the eldest son is recalled to be married. The celebration upon and importance of his return can have no other antecedent than the return of the prodigal son. Perhaps that moment along with others in the closing section of the novel are precursors of changes in the future greater than any experienced by Wang Lung and his family. I do not know how true the book is to the culture of pre-revolutionary China, but I do know that the beauty of the earth and the story reward its readers. 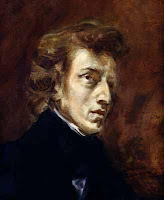 Some of my favorite music is that of Frederic Chopin, including almost his whole oeuvre which I find appealing and eminently listenable, but there are selections that I find particularly song-like. It is this music that I refer to as the "operatic Chopin". A couple of examples will help define this aspect of his work (although in some respects this permeates many of his longer pieces). Among the those that I love the most is the Fantasie in f minor, Op. 49. This is from his later compositions and demonstrates the mature style of the composer exhibiting both boldness and originality that, unfortunately, due to his ill-health he was not able to fully develop. Starting with a march that strides forward leading the listener into the piece, he develops an over-arching message that comprises both the storm & fury of development with the calming beauty of soaring melody. This is what I call both operatic in character and romantic in feeling and approach. Yet another march leads to triumphant music that ultimately descends to a calming resolution and close. The whole is an unforgettable operatic tone poem that defies categorization. Fantastic is an appropriate description. I find Chopin's Ballades to share this operatic tone. My favorites are the first (Op. 23) and fourth (Op. 52) which both exhibit some of the same romantic inventiveness and melodic character. Among the many performances of these pieces available I find those of Arturo Benedetti Michelangeli, Ivan Moravec and Artur Rubenstein, while all very different, to be particularly felicitous. Moravec's approach is thoughtful and Rubenstein is a classic portrayer of this music. Michelangeli's live concert recording of his March, 1957 performance at Royal Albert Hall is eccentric, but electrifying. A young English woman in Naples in the aftermath of World war II meets an Italian writer. A simple enough encounter that leads to a friendship with both the writer, felicitously named Gioconda, and the writer's lover Gianni, a Roman film director. This book is short, yet far from simple as the encounter contrasts both the trio and a fourth person, a Scotsman named Justin, and highlights the background of each of the characters as their lives are woven together. Shirley Hazzard demonstrates here the style that would lead to her award-winning novel, The Transit of Venus, a decade later. In The Bay of Noon we have a simple story that is made large through the novelist's deft phrases and characterization. Notably the city of Naples itself becomes an important character reacting with and in turn influencing the life of young Jenny. Each of the lives are portrayed with an arc that is believable and, in part, tragic as life can sometimes be. The journey depicted is one of beauty and ultimate satisfaction for the reader. The Bay of Noon was a National Book Award finalist (Fiction, 1971). Shirley Hazzard was married to the noted biographer Francis Steegmuller who died in 1994. I have previously read and enjoyed The Transit of Venus, Hazzard's masterful family saga that was awarded the National Book Critics Circle Award for Fiction in 1980. The Bay of Noon by Shirley Hazzard. Picador Books, New York. 1970. The Transit of Venus by Shirley Hazzard. Penguin Books, New York. 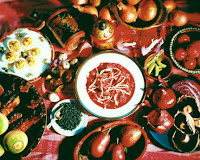 1990 (1980).